The work is carried out at 3ME in collaboration with other faculties, with industries (e.g. Shell, ENI), and with technology institutes (e.g. TNO, Deltares, Dynaflow Research). Master students that do their thesis work on this topic, can do (part of) their research work outside de university in industry or at a technology institute. Benchmarking of Computational Fluid Dynamics for multiphase flows in pipelines, 2010. Controlling the split of a two phase gas-liquid flow from a single flowline to a dual riser, 2011. Visual investigation of annular flow and the effect of wall wettability, 2012. Influence of dynamic surface tension on foams: Application in gas well deliquification, 2012. R. Malekzadeh, R.A.W.M. Henkes, R.F. Mudde, Severe Slugging in a long pipeline-riser system: Experiments and predictions, Int. J. Multiphase Flow 46, pp. 9-21, 2012. M. Ramdin, R.A.W.M., Henkes, Computational Fluid Dynamics modeling of Benjamin and Taylor bubbles in two-phase flow in pipes, Trans. ASME J. Fluids Eng. 134 (4) (2012), paper 41303 (8 pgs). U. Kadri, R.A.W.M. Henkes, R.F. Mudde, R.V.A. Oliemans, Effect of gas pulsation on long slugs in horizontal gas–liquid pipe flow Int. J. Multiphase Flow 37 (2011), pp. 1120-1128. J.E. Seim, J.E., V.L. Van Beusekom, R.A.W.M. Henkes, O.J. Nydal, Experiments and modeling for the control of riser instabilities with gas lift, Proc. 15th Int. Conf. on Multiphase Prod. Technology (2011), pp. 19-31. U. Kadri, U., R.A.W.M Henkes, R.F. Mudde, R.F., R.V.A. Oliemans, A method for reducing the negative effects of long slugs, Proc. 7th North American Conf. on Multiphase Technology (2010) , pp. 53-65. M.G.K. Evers, V.L. Van Beusekom, R.A.W.M Henkes, Appearance and mitigation of density waves in continuously gas-lifted oil wells, Proc. 14th Int. Conf. on Multiphase Production Technology (2009), pp. 281-293. 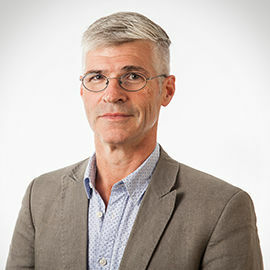 2008 – present: Part-time professor at Delft University of Technology. 2001 – present: Multiphase Flow Team Leader, Shell Projects & Technology, Amsterdam. 1997- 2001: Multiphase Flow Team Member, Shell Global Solutions, Amsterdam. 1995-1997: Associate Professor, Low-speed aerodynamics group of the Faculty of Aerospace Engineering at the Delft University of Technology. 1993-1995: Senior Research Fellow of the Royal Netherlands Academy for Arts and Sciences. Low-speed aerodynamics group of the Faculty of Aerospace Engineering at Delft University of Technology. 1990-1993: Junior Research Fellow of the Royal Netherlands Academy for Arts and Sciences. 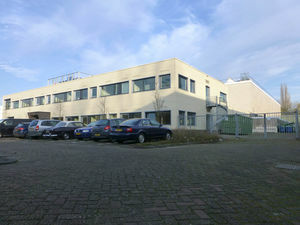 Heat-transfer group of the Faculty of Applied Physics at Delft University of Technology.